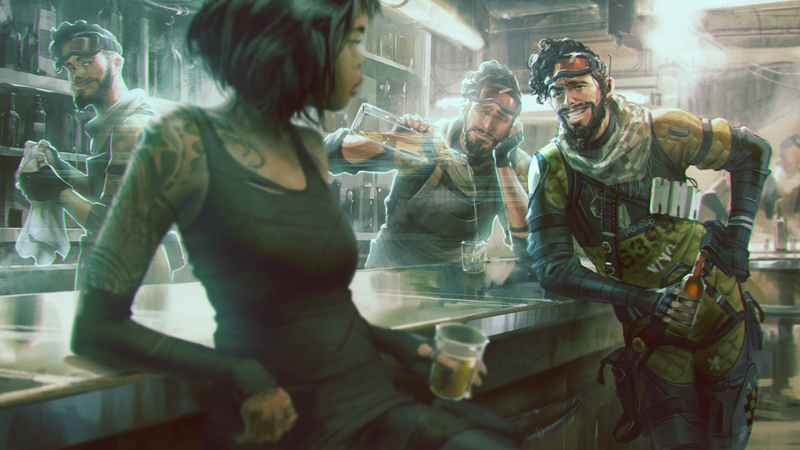 In Apex Legends, when you pick up ammo a teammate has dropped for you, or an item that they’ve pinged on the map, the game prompts you to press a button to say “thank you.” I press it every time, because it’s the nice thing to do. The game won’t let you say “You’re welcome,” though, and I really wish it did. I’m not great at killing other players in Apex Legends, but I am good at helping my team. I ping everything. That’s the system that lets players point out useful things to their two squadmates. If I see a gun I don’t want, I ping it. If I’m already wearing body armor and run across some, I ping it. If I see enemies on the horizon, I ping them. Your teammates can also acknowledge and react to your pings. If you want to call dibs on ammo someone pings on the map, swing your reticule over to where it’s marked and hit your ping button to call dibs. It’s just how I was raised. In social settings I’m more likely to say “no problem” or “don’t worry about it” rather than “you’re welcome,” but I feel like the fact that someone is thanking you for something requires some acknowledgement. When I can’t say it, especially when I’m playing with highly-skilled randos for whom pinging things is the only way I can help, I can feel my skin itching in annoyance. How can I show them that I am present, paying attention, and aware that they’re speaking to me? I’ve resorted, occasionally, to nonverbal communication. After resurrecting a teammate, I jumped up and down when they came back, as if to welcome them back to the match. They jumped up and down in response, and I felt satisfied that my attempt at being polite was recognized. I’ve tried that with other situations where I want to say “you’re welcome,” but it doesn’t always work. It’s hard to jump up and down when you’re running from building to building trying to loot, and not everyone will know that your jump is meant to convey a “you’re welcome.” If I’m on voicechat with my friends I’ll just say it out loud, but I rarely use my mic with randos, as most randos I’ve encountered on PlayStation 4 don’t use one. To the people who make Apex Legends over at Respawn, please, just give me a button that lets me say “you’re welcome.” It doesn’t make a huge difference in gameplay, but at least for me, it’ll make the game more satisfying. And I mean, I just think you’re supposed to.